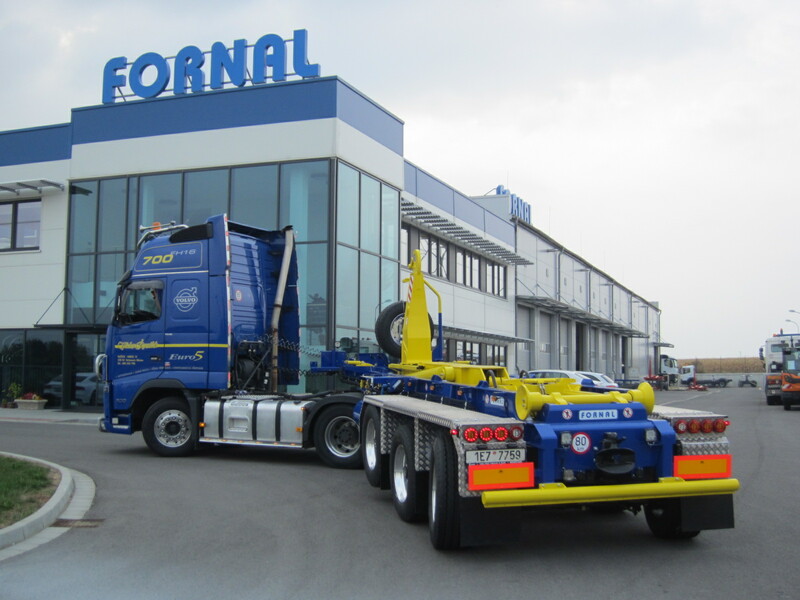 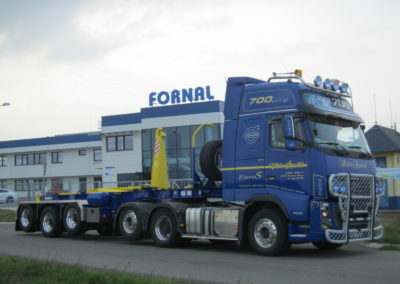 Semi – Trailer Container | FORNAL trading s.r.o. 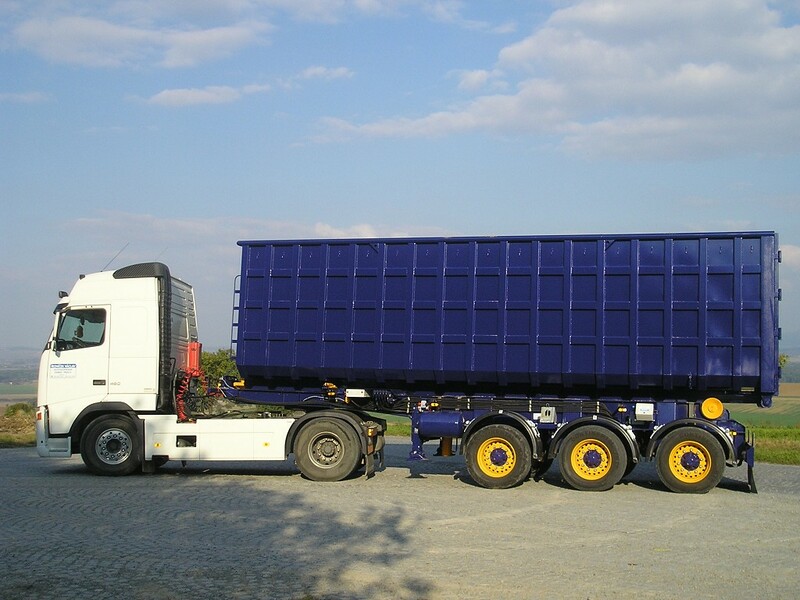 The production of our semi-trailer containers is intended for the transportation of a large volume of material or extreme weight. 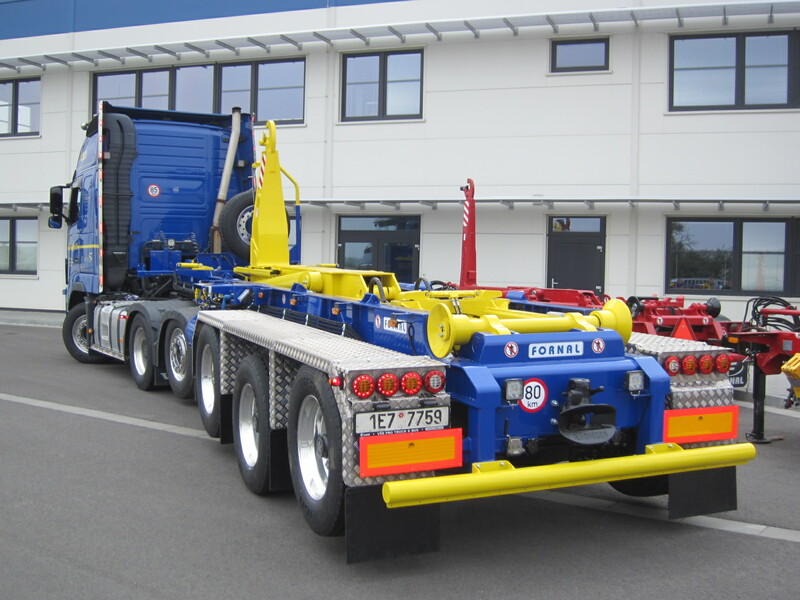 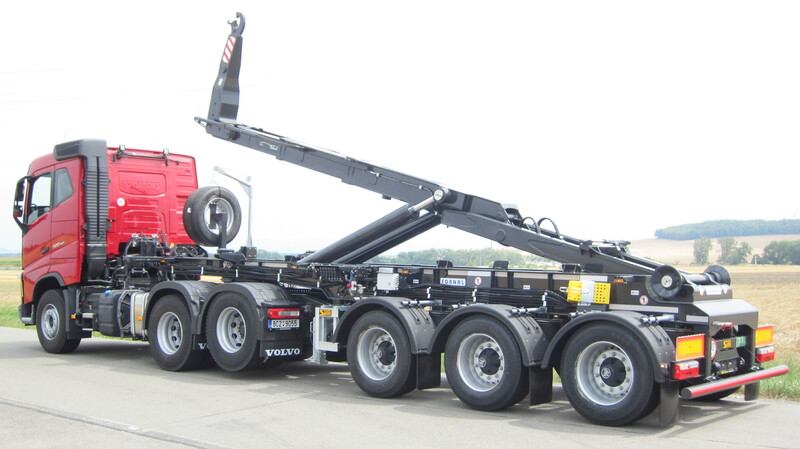 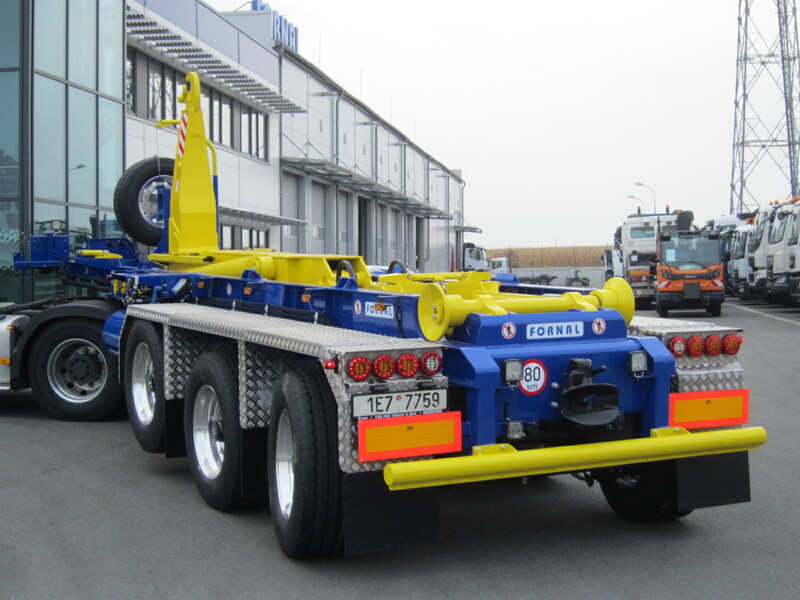 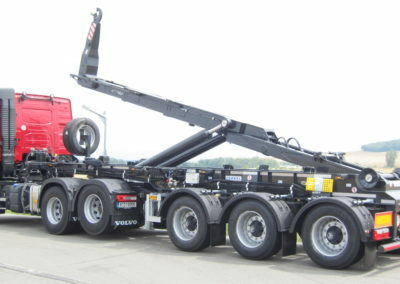 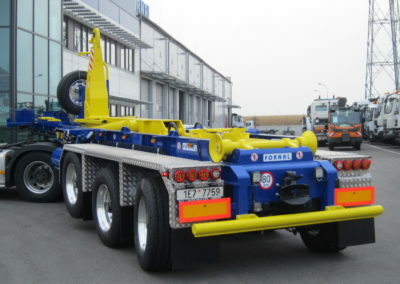 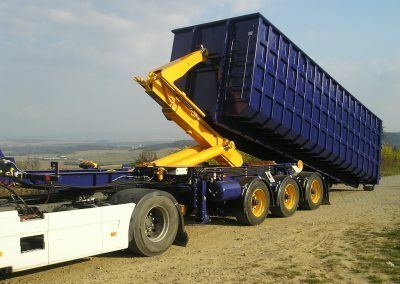 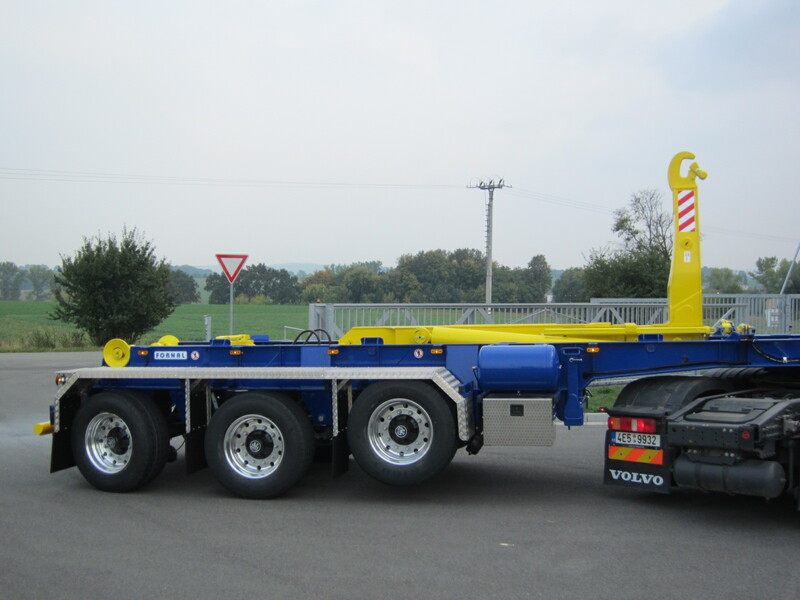 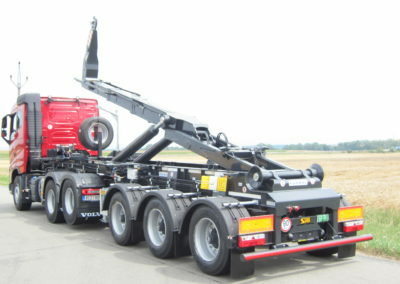 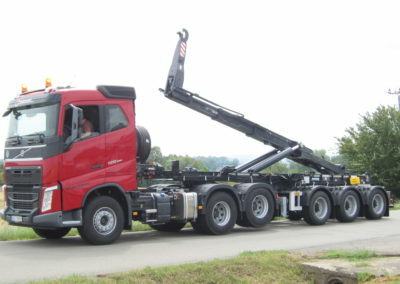 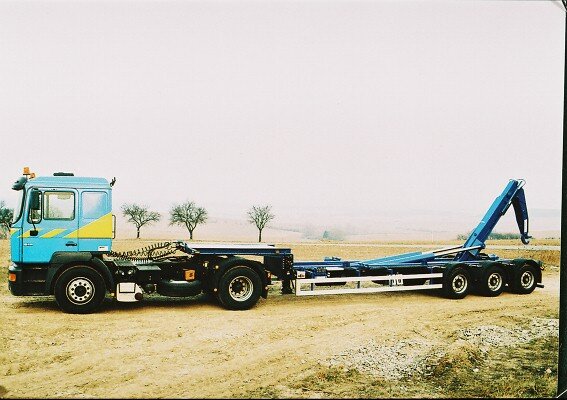 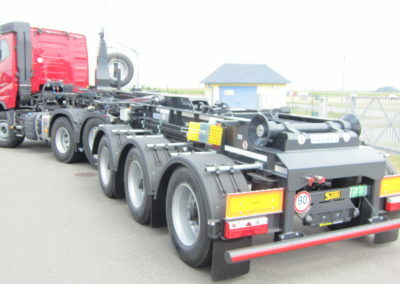 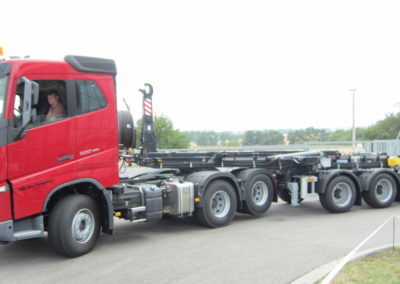 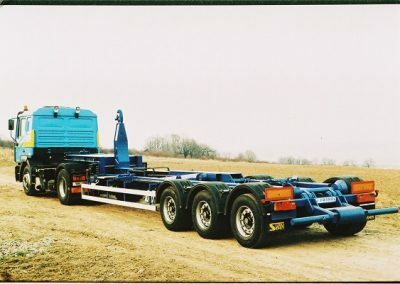 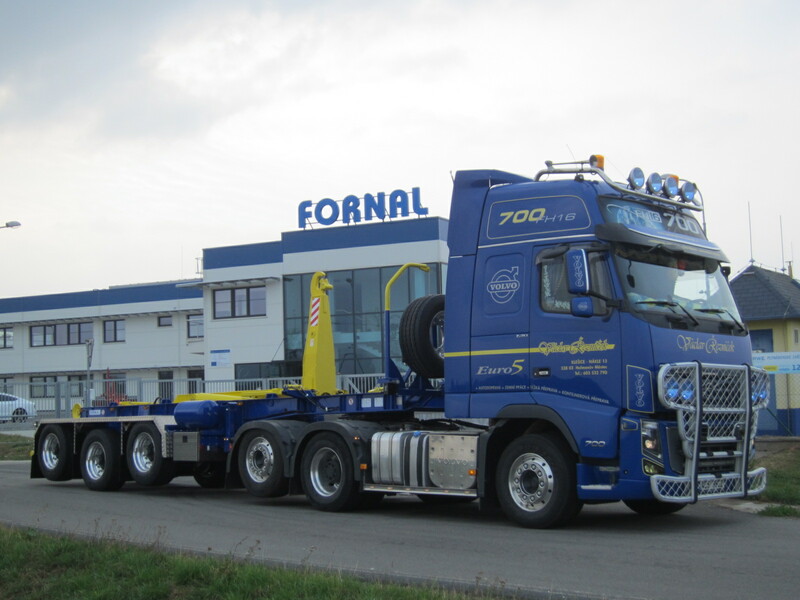 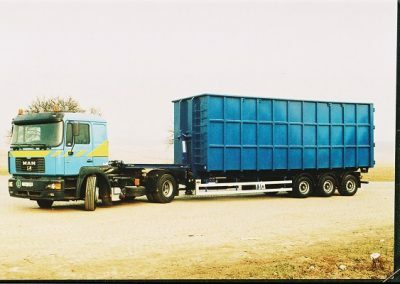 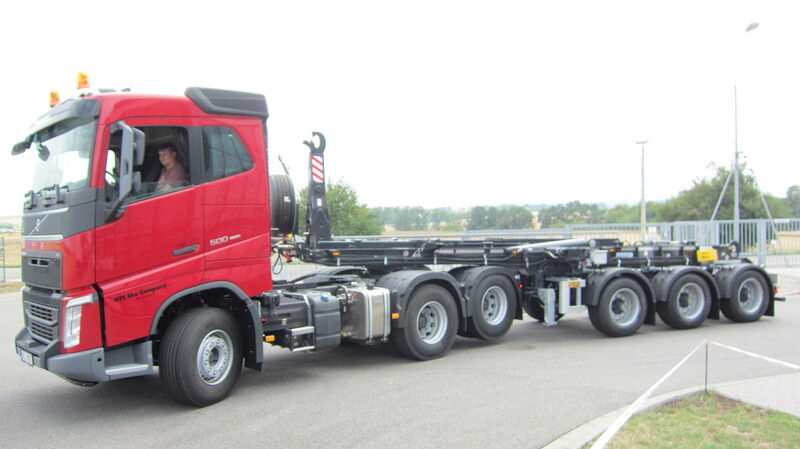 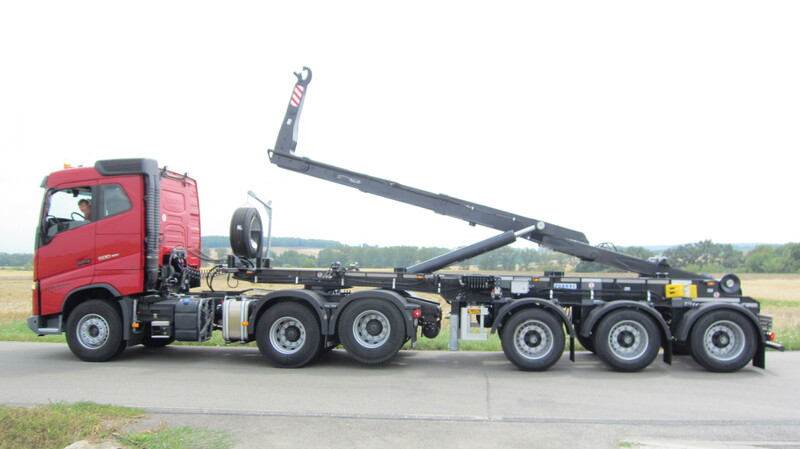 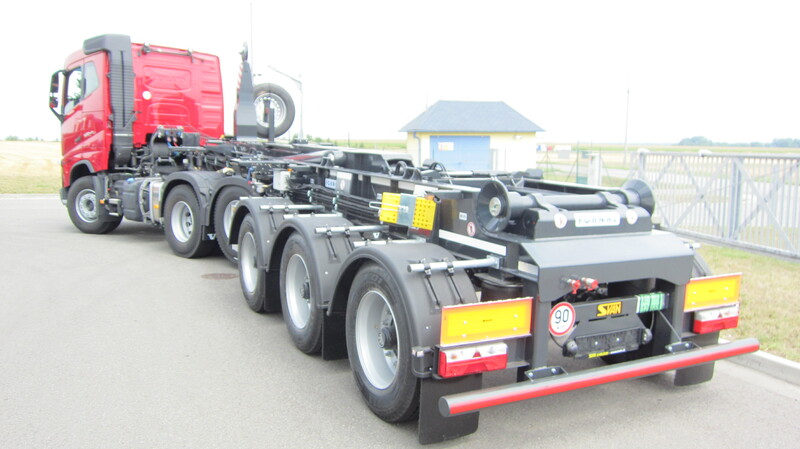 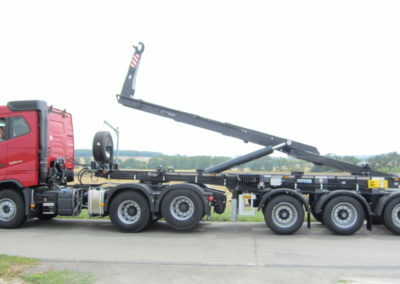 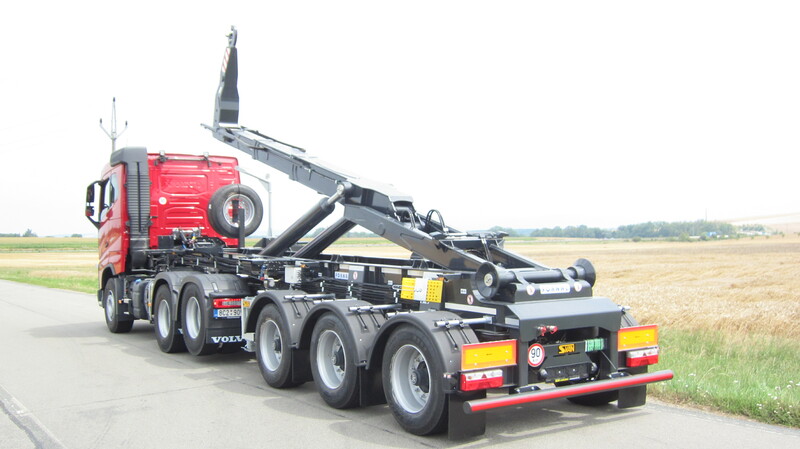 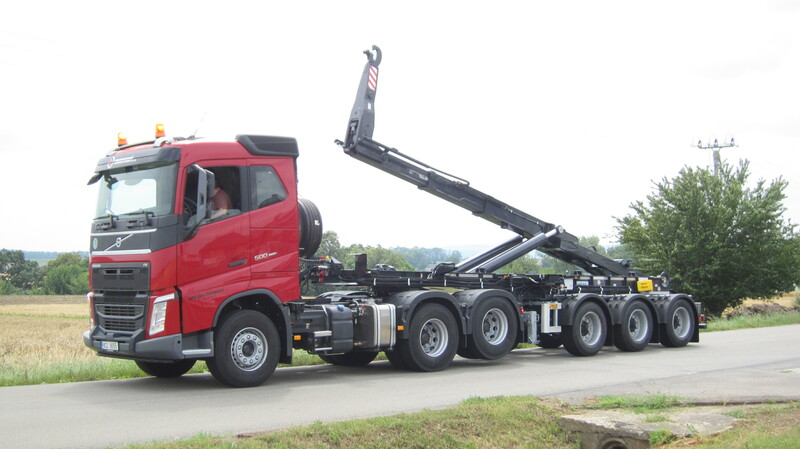 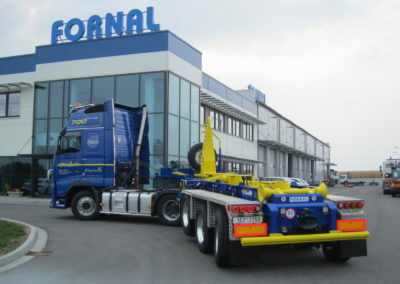 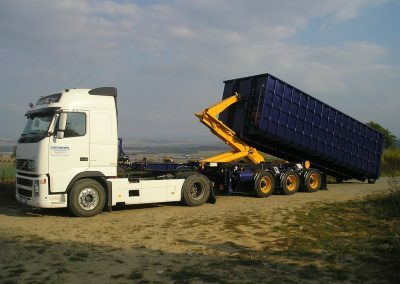 This involves automobile trailers whose frame is modified for the assembly of the carrier container mechanism, where the frame of the trailer is mutual for the chassis – axle as well as for the carrier container itself. 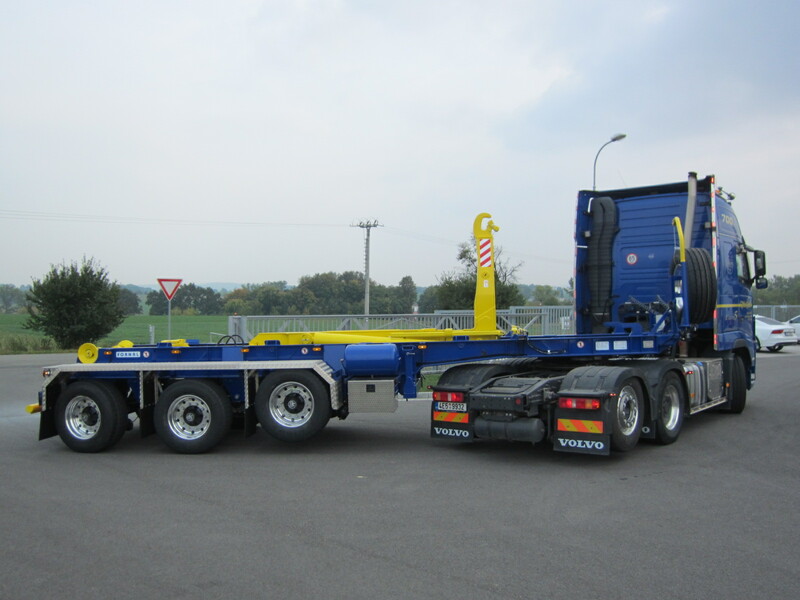 By this technical solution, we can achieve a low loading height for placing the container and a low operational weight of the whole semi-trailer container. 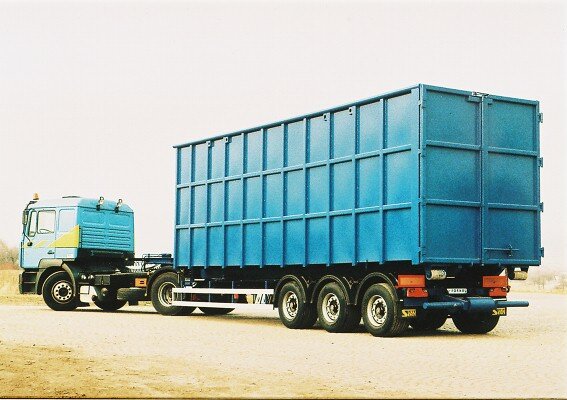 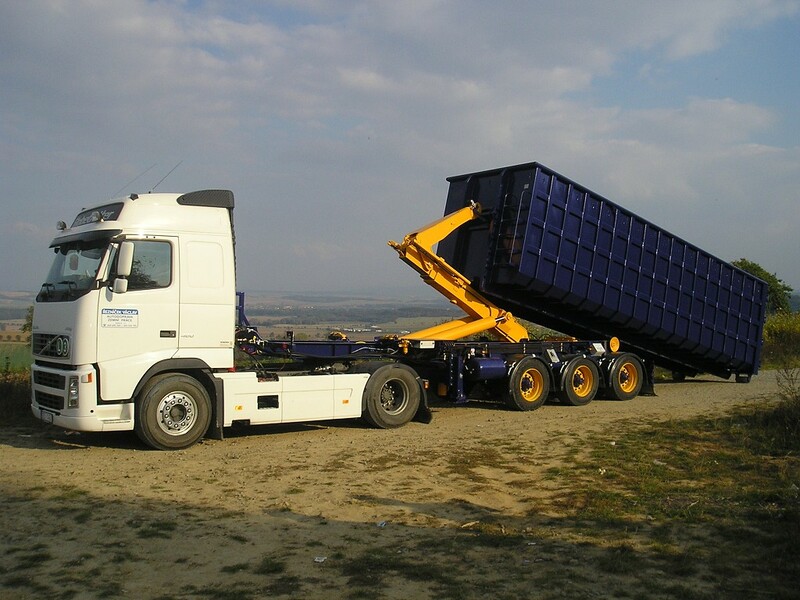 The loading outputs we offer are from 20 to 35 tons. The length of the container, which is possible to be transported by this carrier, is in the range of 5 to 9 meters. 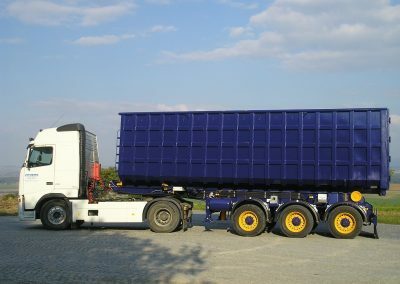 The container volume reaches up to 55 m3. In terms of construction, our carriers are made for the manipulation with containers according to DIN 30722 norms. 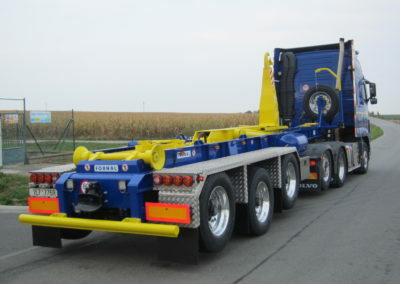 The loading and tipping mechanisms of the semi-trailer container is characterized as identical to the hook carrier container of our production, which is also why the standard design and additionally priced equipment correspond.